As an eligible Servicemember, Veteran, dependent, Guard member or Reservist planning to use the GI Bill, you are a consumer about to make one of the most important decisions of your life. Where you begin your post-secondary education is critical. Would you buy a car before considering your needs or before checking available resources for ratings and prices? The answer of course is “no” and that’s why you owe it to yourself to thoroughly consider your needs before choosing a school or program. Making informed decisions about how to use your benefits and how they can best meet your needs means doing a little homework before classes start. This guide presents ten important factors you should consider towards becoming an informed consumer first and a GI Bill user second. Choosing the right career means considering many important factors. The Department of Labor’s (DOL) career search tool My Next Move for Vets is the nation's primary source of occupational information. You can review information about careers for hundreds of standardized and industry-specific descriptors such as” Retail” and “Manufacturing.” DOL updates the tool by surveying a broad range of workers from each occupation. There is also a search engine to find careers similar to your military job and it has assessment instruments for workers and students looking to find or change careers. Finally, be sure to explore your vocational interests in-depth. The self-assessment tool CareerScope® is designed to help you determine your vocational and aptitude needs as well as academic readiness. CareerScope® is self-administered and offered at no-cost by the Department of Veterans Affairs (VA). It will provide an assessment of your interests and aptitudes, give recommendations about which careers you may enjoy and be successful doing, and help you decide which courses or training programs you should focus on to pursue those careers. Going back to school after the military can be a challenge. Here are some of your nagging questions about the future with some answers! Pace yourself. It’s ok to start off with a course or two to get the feel of being in school. Feeling overwhelmed will make it tougher to focus, so ease into it if you can. You can pick up the pace later. 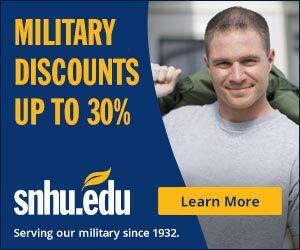 Locate your local Student Veterans of America. It has chapters nationwide and can help out. Find or start a study group…maybe with other Veterans…to help you stay focused and motivated. If you have a health issue that may be affecting your learning, colleges and universities may have accommodations to help you learn. If the issue is service related, take advantage of the VA’s Vet Centers and Vocational Rehabilitation services. They are there to help! You’ve considered a career and major, now which school is best for you? Choosing the right school involves more than just completing the school’s application process. Make sure the school you attend meets your standards and expectations. In the military you demonstrated the commitment, discipline and desire to succeed. These qualities are highly sought after by colleges and universities. Leverage those qualities and attend the school that best provides what you need and maximizes your investment. For more information on what your GI Bill benefits will cover, visit our GI Bill Comparison Tool to start researching schools. The GI Bill Comparison Tool shows key measures of affordability and value for each school including graduation rates, median borrowing amounts, and student loan default rates. You should carefully consider the wisdom of attending a school with a low graduation rate or high median borrowing amount. The Federal Trade Commission also has some helpful information to help you decide. Their “Choosing a College” guide has eight questions to ask yourself and your potential school before making any decisions. Would my professional field respect a degree from the university or college I’m considering? What’s the point of a degree if it doesn’t lead to employment? Employers have a good idea about which colleges and universities have good standing in their professional field and which don’t. Choosing the right school for your particular discipline is crucial. Accreditation matters if you plan to start school at one institution and transfer to another to complete your degree. Be sure to ask any potential school about their credit transfer policy. Another helpful way to discover the respectability of a degree is to check the national ranking of the school and the program you’re considering. Visit College Factual, an authoritative college choice resource, to create customized selection lists based on the criteria you believe are most important. Have a career resource center. Provides services like resume writing workshops and interview skill development. Promise to place you in a job if you earn a degree from them? If so, then be cautious. No organization can rightfully guarantee you a job unless that job was set aside for you from the beginning. Be careful about “Military/Veteran Friendly” claims and make sure your prospective school is friendly to your needs. There are objective sources to help you determine those needs. The American Council on Education (ACE) has developed a toolkit for how schools can create or enhance policies and programs to better serve Veterans. It has examples of many successful programs that are available to you. - Transfer of credits from other schools or for military training - Your school should recognize your past coursework/training and accept your transferred credit. Be vigilant in understanding whether your coursework will transfer to a new school. Not all credit will be accepted, but finding an institution where this credit is best utilized towards degree requirements will help you make the most of your benefits. Check out the ACE Military Guide to find out what kind of credit you may receive for your military experience. - Campus and community service - Look for access to mental health and medical support, disability services, academic accommodations, and available career services. - A strong Veteran voice - Find an administration that listens to and involves Veterans in Veteran programs such as a school with a Student Veterans of America organization. - Central point of contact - Hands-on, in-person assistance with navigating the educational process makes the academic journey much more manageable. Schools that agree to the President’s Principles of Excellence are obligated to have such a person for Veterans. - Veteran specific space - A designated location for student Veterans offers a dependable and supportive environment where trust, support, and camaraderie can be found and fostered in an academic environment. - Principles of Excellence participant – Be sure to review VA’s list of schools that agree to participate in the President’s Principles of Excellence Program by searching for schools using the GI Bill Comparison Tool. - Expanded housing options - Student Veterans sometimes have unique housing preferences and needs; explore your options. - What is a reasonable amount to pay for my degree? - What is my interest rate and when do I have to start paying the loan back? - Will I make enough money to repay my student loan debt? According to the Consumer Financial Protection Bureau (CFPB) and ED, there are currently more than 40 million student loan borrowers with over $1.1 trillion in outstanding debt, surpassing credit card debt. If you assume a large amount of student loan debt you may not qualify for home or auto loans and may have to delay saving for retirement, starting a family, or starting a business. The authoritative guide to help you determine how much college will cost and help you through the application process is VA’s GI Bill Comparison Tool. If you must take out loans to help pay for school, consider a Federal Direct Loan from ED as repayment terms are generally more flexible and there are greater consumer protections. Check the online tools available through ED at studentaid.ed.gov and the Department of Education’s Financial Aid Shopping Sheet. Choosing the right school is the first step in not only readjusting to civilian life, but to succeeding in civilian life. The GI Bill is a great program and you’ve already earned it. 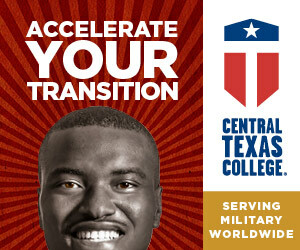 Use your benefits wisely, finish school, and become the leader in the civilian world you have already demonstrated you can be in the military.